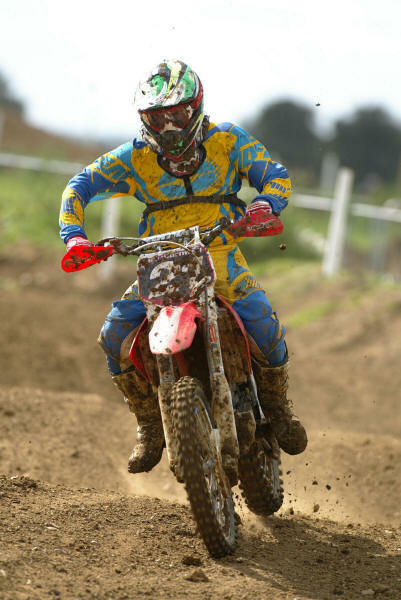 Northampton Motorcyclists Club hosted the penultimate round of the 2010 SMC championships at the new Silverstone MX Park. Billed as the SMC GP, the track lived up to its title featuring huge tabletop jumps, deep rutted corners and all the features of a modern GP track. Rebuilt for the recent ACU Maxxis round, the track preparation and conditions were excellent despite heavy rain during the preceding week. On the day the event was blessed with clear blue skies as the large turnout of riders set out to conquer the new unfamiliar track style. The soft woodchip sections formed deep ruts in some of the corners that changed from race to race, while the many and varied jumps kept everyone focussed and concentrating. In the Expert class it was Matthew Bayliss who took wins in all three legs by some distance, dominating all the races he took part in. Behind him another SMC visitor Ryan Morris took second place overall with convincing runner up spots in the final two races. Michael McClurg took second in the first encounter and finished consistently in the other two to gain enough points for the final podium position. In the Junior A group it was another Bayliss, this time brother Christopher who came out on top by virtue of his win in the second final. Tying on points after winning the first Junior final, James Rutter had to be content with second overall from Harry Turner in third.The Junior B class was dominated by Laurence Wiltshire who never looked like being beaten. Had he not run out of petrol in the qualifier, no doubt he'd have been well up in the A group. Behind him the next four places were closely fought, Paul Higgins taking second overall from Bill Brightman in third. In the Over 40 Class Tony Leishman once again took 3 straight win. Behind him Fraser Law finished consistantly second, despite some very close racing with Dave Whitehead who settled for third. The Over 50 was thrown wide open after favourite and race one winner Andrew Brightman crashed out of race 2 in the tricky technical conditions. This left the door open to Stephen Hollins and Nick Bragg who took first and second respectively after tying on points. Third overall went to Bill Gywnne, swapping four wheels for two on this occasion. 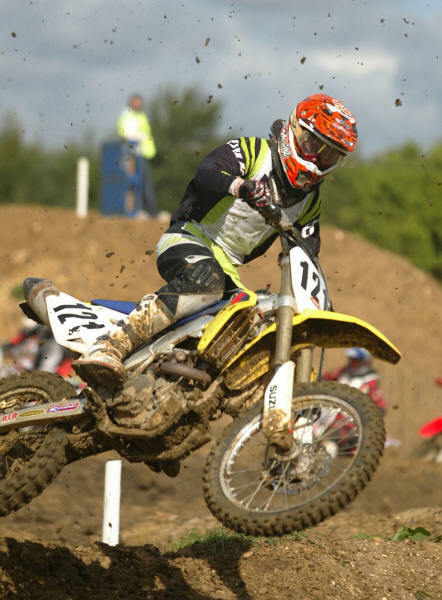 Ryan Morris took the overall win in the Under 40 class, after Matthew Bayliss decided not contest the final encounter despite winning the first two. 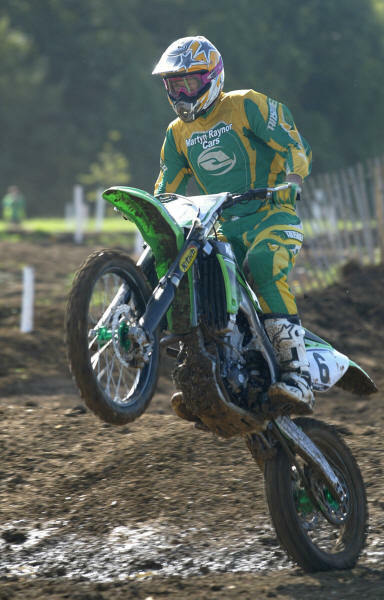 As the 125 class was combined with the Under 40's, those two wins also gave Matthew victory in the 125 class, from Tony Leishman and Richard Wright. 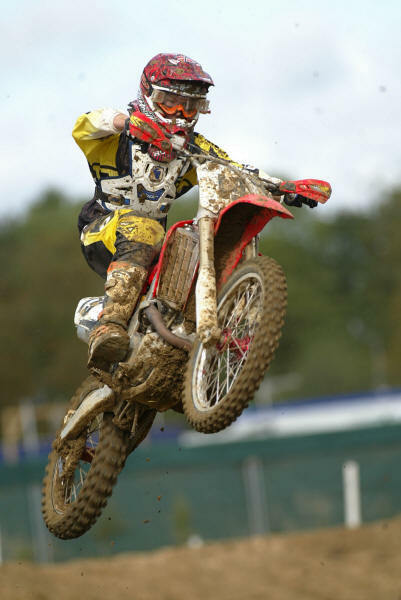 Thanks to Silverstone MX Park for their great hospitality. 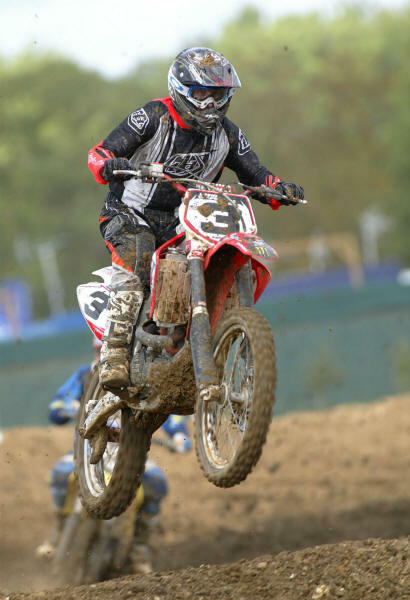 The final round of the 2010 SMC Championships takes place at Long Buckby on October 24.